The Workspace ONE UEM Deployment - MDM/Email service bundle provides setup assistance for customers who have purchased AirWatch Green, AirWatch Orange or Workspace ONE Standard licenses. The service will familiarize customers with the basics of the VMware AirWatch platform including basic infrastructure, Personal Information Management, security policies, application management and device enrollment. VMware AirWatch will assist with the configuration of the Enterprise Services Connector (ESC), Secure Email Gateway (SEG)* and Email Notification Service (ENS)* as part of this service bundle. Setup of VMware Identity Manager or the Workspace ONE portal is considered out of scope of this service. The service is delivered remotely through conference calls and screen-sharing sessions. * Secure Email Gateway (SEG) and Email Notification Service (ENS) are only included if the customer has purchased AirWatch Orange or add-on VMware Boxer licenses. for a detailed description of the service offering. The Workspace ONE UEM Deployment – MDM / Email / Productivity service bundle provides setup assistance for customers who have purchased AirWatch Blue, AirWatch Yellow or Workspace ONE Advanced licenses. The service will familiarize customers with the basics of the VMware AirWatch platform including advanced infrastructure, Personal Information Management, security policies, application management, productivity applications, advanced desktop management and device enrollment. VMware AirWatch will assist with the configuration of the Enterprise Services Connector (ESC), Secure Email Gateway (SEG), Email Notification Service (ENS), Content Gateway, and VMware Tunnel as part of this service bundle. The Workspace ONE Deployment - Standard service bundle provides setup assistance for customers who have purchased Workspace ONE Standard licenses. The service will familiarize customers with the basics of the AirWatch and Workspace ONE platforms including basic infrastructure, Personal Information Management, security policies, application management, VMware Identity Manager, and device enrollment. 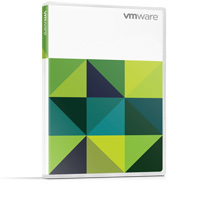 VMware AirWatch will assist with the configuration of the Enterprise Services Connector (ESC) as part of this service bundle. The Workspace ONE Deployment - Advanced service bundle provides setup assistance for customers who have purchased Workspace ONE Advanced licenses. The service will familiarize customers with the basics of the AirWatch and Workspace ONE platforms including advanced infrastructure, Personal Information Management, security policies, application management, productivity applications, advanced desktop management, VMware Identity Manager and device enrollment. VMware AirWatch will assist with the configuration of the Enterprise Services Connector (ESC), Secure Email Gateway (SEG), Email Notification Service (ENS), Content Gateway, and VMware Tunnel as part of this service bundle.